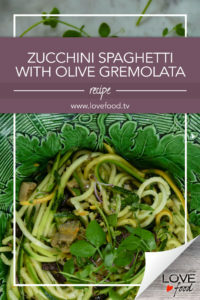 Place zucchini strips on a serving bowl and sprinkle with a little olive oil. Toss and set aside. Meanwhile, make the olive gremolata. 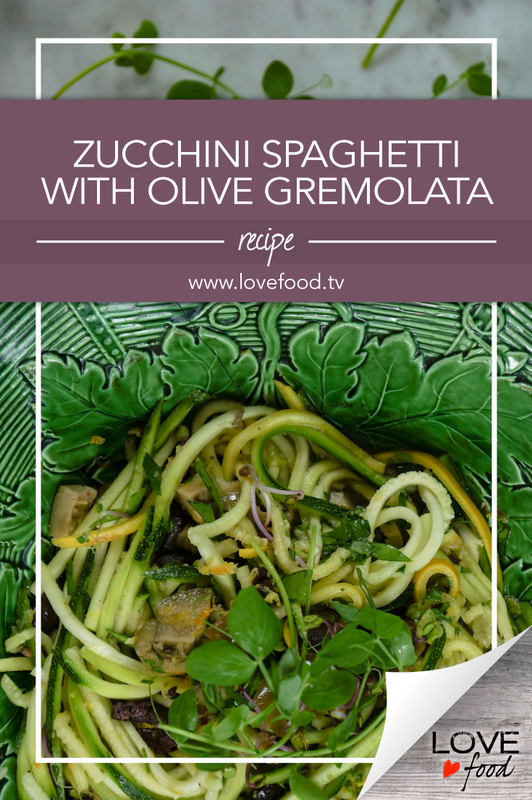 Toss the zucchini with the gremolata, garnish with pea shoots and serve.